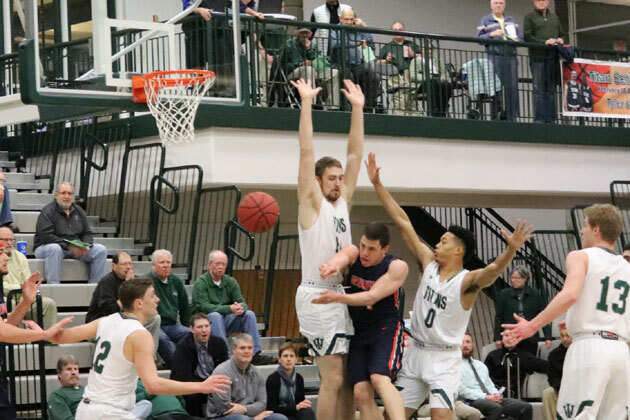 BLOOMINGTON – Aston Francis scored 36 points with signature array of highlight reel three-point shots as Wheaton outscored No, 17 Illinois Wesleyan, 107-95, in a Shirk Center game that further complicates an already crowded College Conference of Illinois and Wisconsin race. After Illinois Wesleyan pulled to within 36-35 with 4:17 to play in the fist half, the Thunder closed out the half on a 16-8 run, capped by Francis’ patent fadeaway three from the corner in the closing seconds to give the Thunder a 52-43 lead at the break. PODCAST: Listen to IWU coach Ron Rose’s postgame interview on WJBC. Brady Rose led the Titans with 27 points. Curry finished with a team-high eight rebounds. Alex O’Neill added 14 points and six boards. IWU maintains a half-game lead over North Central (9-4) following the Cardinals loss to No. 14 Augustana (9-4), while Wheaton stands along in fourth place, one game ahead of Carthage following the Redmen’s loss to Carroll. The Titans host Carroll on Saturday.